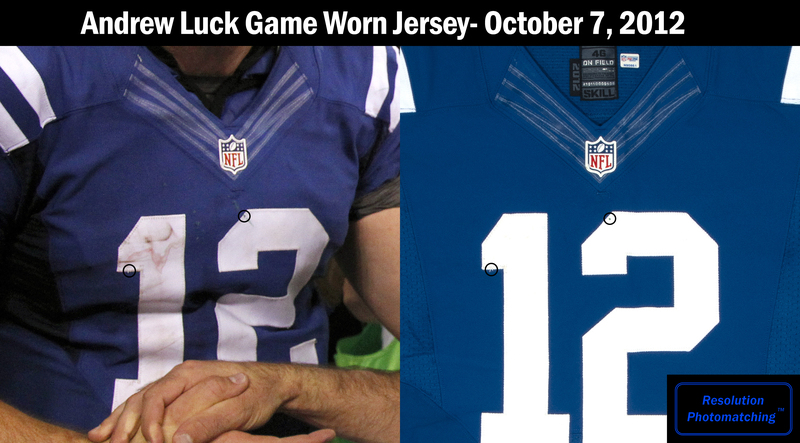 When Peyton Manning's career in Indianapolis came to an end in 2012, Colts fans were in mourning and for good reason. How could a new quarterback fill the shoes of the future first ballot Hall of Famer who took them to the playoffs virtually every year and brought home their first Super Bowl since the Johnny Unitas era? 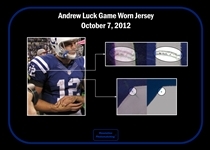 The Colts forged ahead by drafting Andrew Luck with the #1 overall pick in 2012, and all he did was lead them to the playoffs with an identical 11-5 record in each of his first three seasons, capping each campaing with a trip to the Pro Bowl. 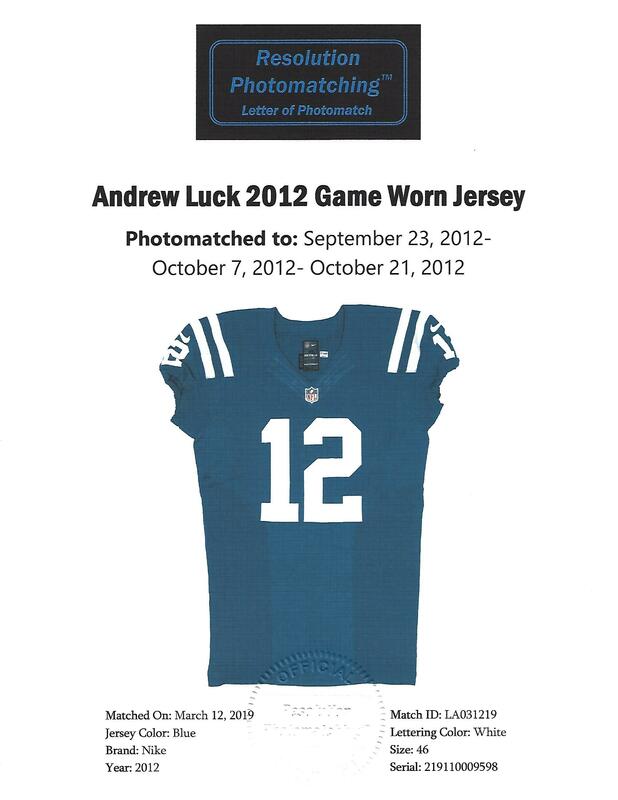 Presented here is Luck's game worn and signed home jersey from his 2012 rookie year, which has been professionally photo-matched by the experts at Resolution Photomatching to three games from his debut season. Luck set an NFL rookie record (still standing) with 4,374 passing yards, while tossing 23 touchdowns and rushing for another five. Against the Jaguars in Week 3, Luck threw for 313 yards and two TD's, adding 50 more yards on the ground in a losing effort. In his next game on Oct. 7 against Green Bay, Luck outdueled Aaron Rodgers in a 30-27 shootout win, with 362 yards and three total TD's. 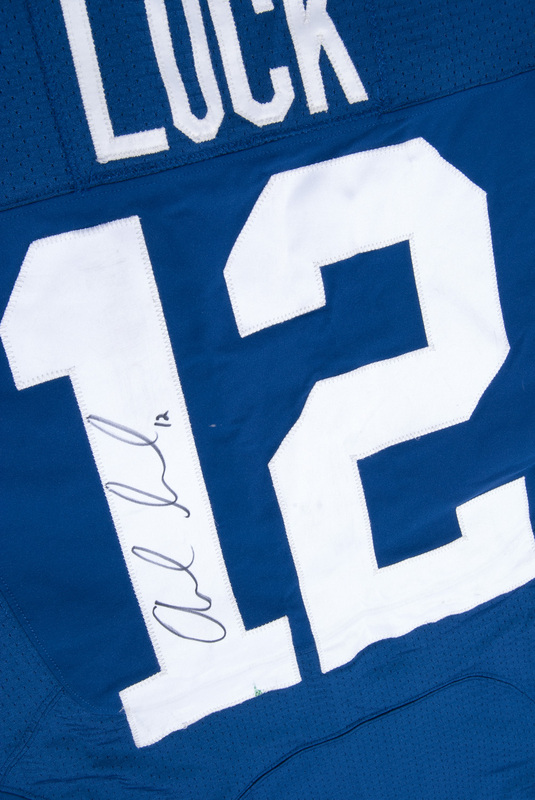 The rookie gunslinger followed up that performance two weeks later by leading the Colts to a 17-13 victory over the Browns in which he ran for his team's only two TD's. 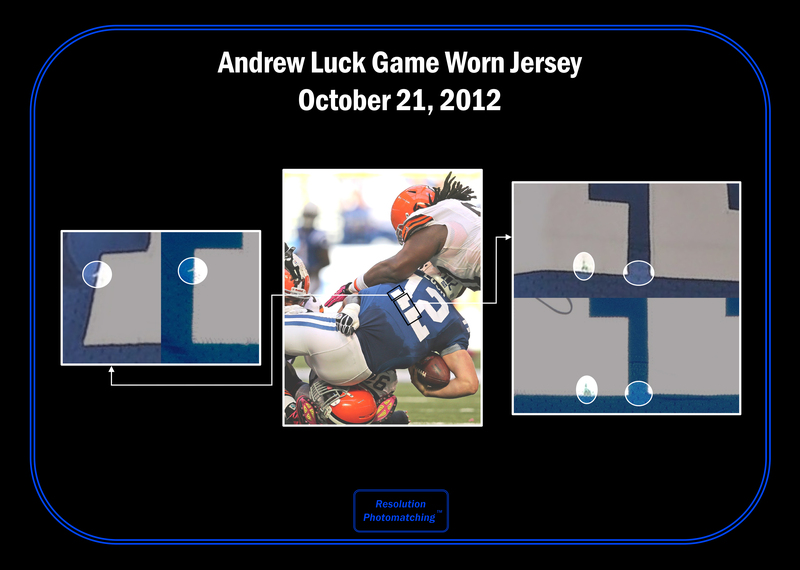 Overall, this special jersey saw action for 861 yards and seven total touchdowns. 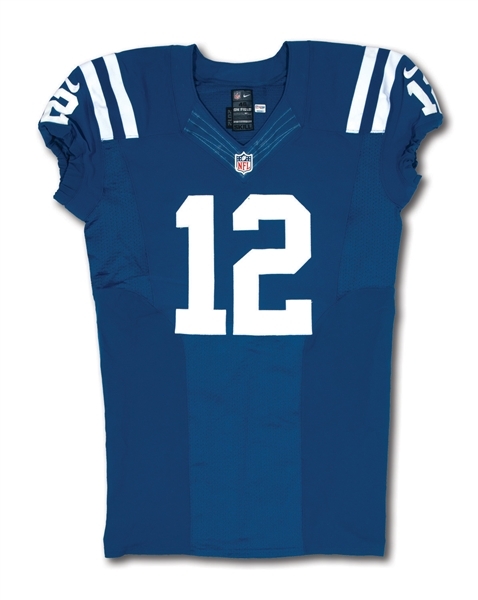 The royal blue mesh Nike jersey boasts Luck's number "12" on the chest, back and both shoulders in white tackle twill. 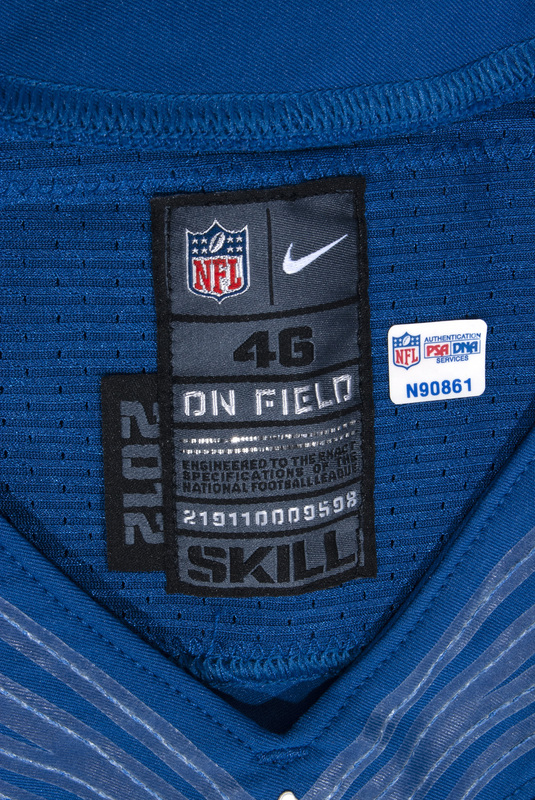 Inside the rear collar is a "2012" flag tag next to the size "46", "SKILL" and serial number "219110009598". The authentication sticker from the NFL and PSA/DNA is affixed adjacent. 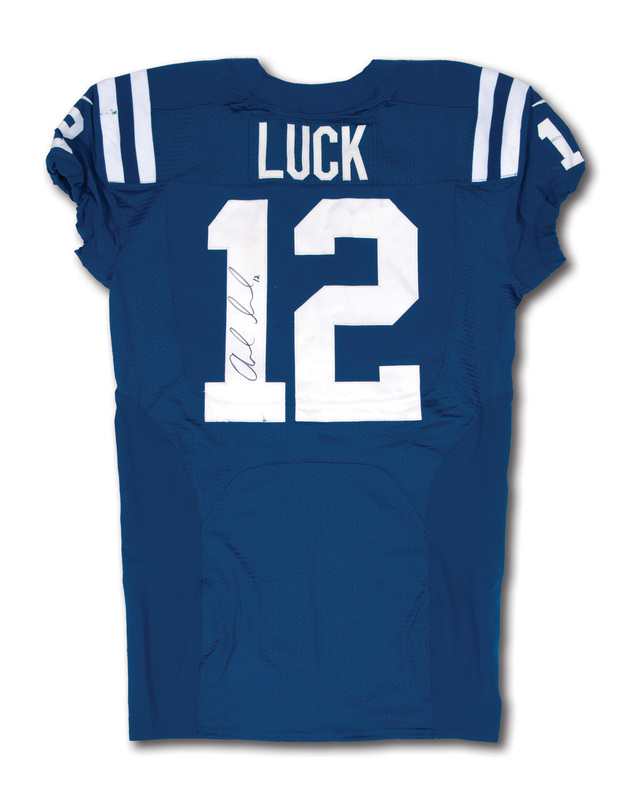 On the back below his last name in white tackle twill lettering, Luck has signed the "1" in 8/10 black Sharpie with his No. 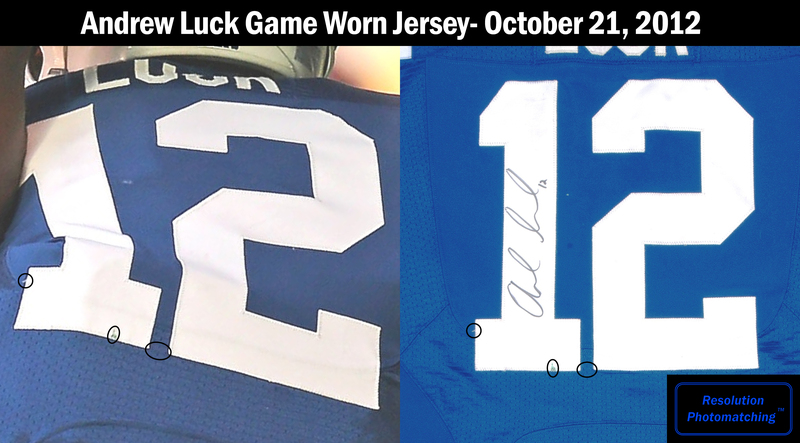 "12" inscribed. 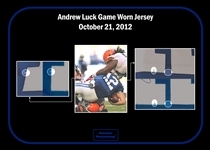 The jersey displays significant game use, with soiling marks on the front numbers and green paint transfers on the shoulder and back that are identifiable in game images. 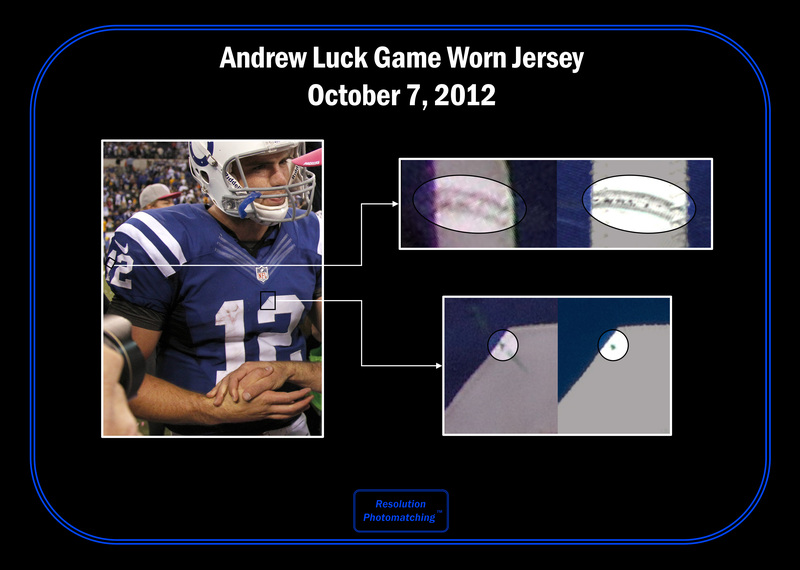 You won't find a better Andrew Luck rookie gamer in the hobby than this beauty! 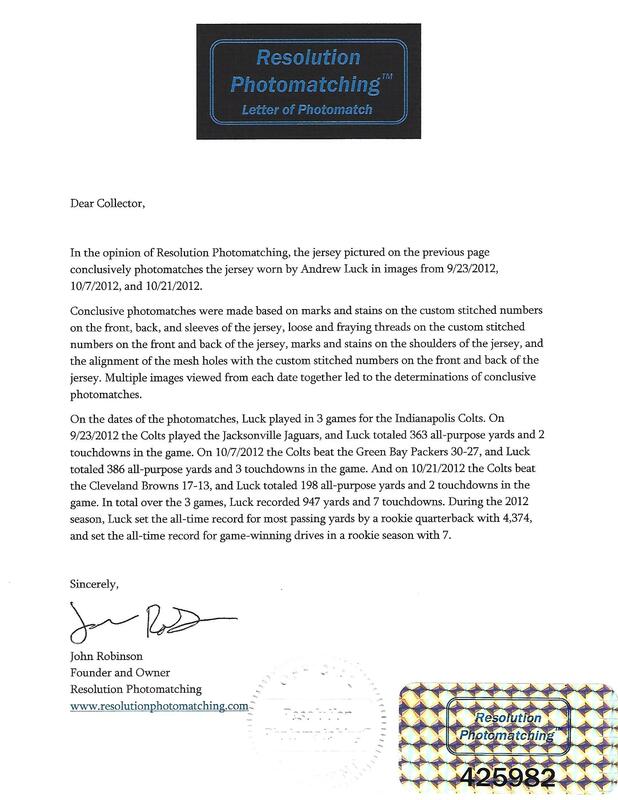 Includes COA from NFL & PSA/DNA (1N07554) documenting use and acquisition following 10/5/12 game vs. Cleveland. LOA from Resolution Photomatching shows three conclusive side-by-side matched images, one from each of the three games.